Directs the Special Collections & Archives Research Center, which is the primary repository for the university's collections of historic, rare, and valuable books, manuscripts, photographs, and memorabilia. 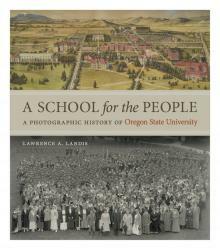 A School for the People: A Photographic History of Oregon State University. To be published by the OSU Press in October 2015. "Oregon State University: A Key Component of Benton County's History," in A Pictorial History of Benton County, pp. 72-82. Corvallis: Corvallis Gazette-Times, 2000.